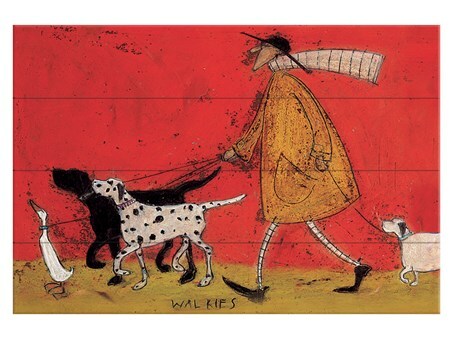 Taking his canine companions and feathered friend out for a stroll, Mr Mustard leads the way with little Doris bringing up the rear. 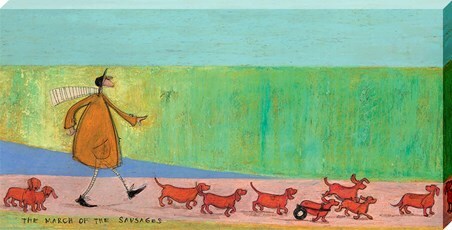 From Brighton born artist, Sam Toft, this wonderfully whimsical wooden wall art sees our most beloved characters in another fantastic scene. 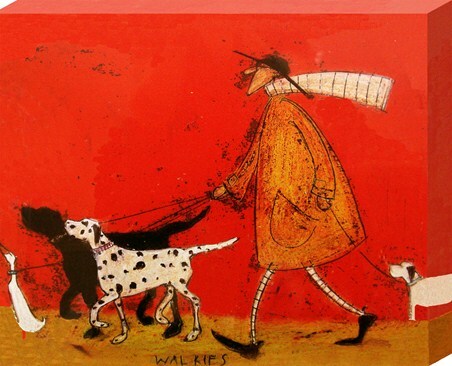 Using pastels and a scraping technique to add depth and character, it's no wonder why these much sought after works of art are loved across the globe. 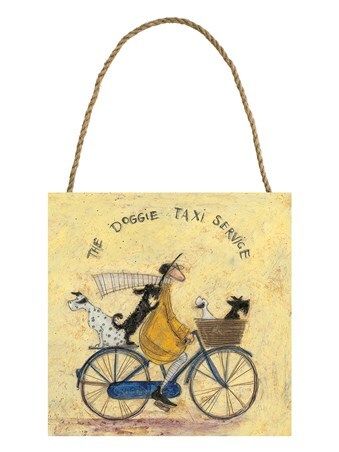 Add another spectacular addition to your ever growing collection, with this vibrant piece. 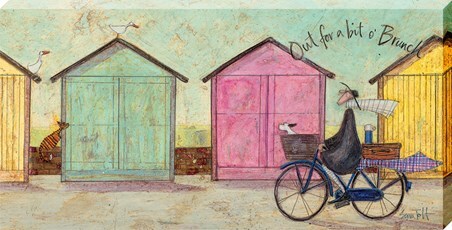 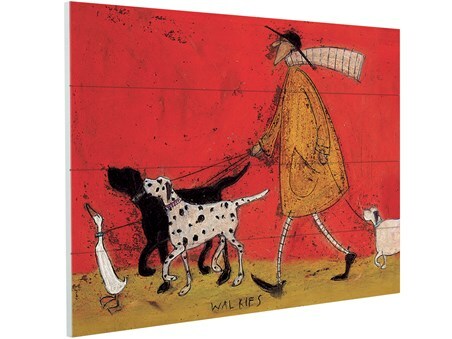 High quality, framed Walkies, Sam Toft wooden wall art with a bespoke frame by our custom framing service.